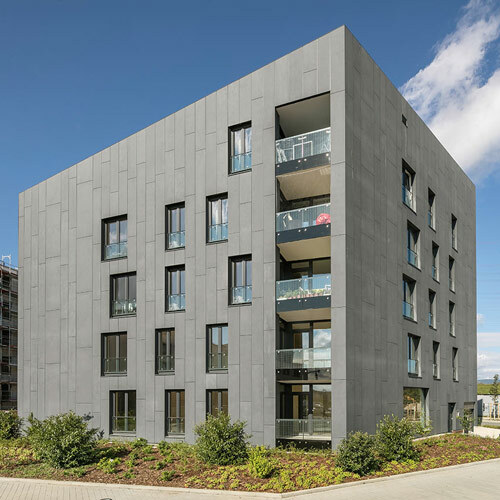 The company ABG Holding Frankfurt is building an eight-storey apartment building in Frankfurt based on the Effizienzhaus Plus energy efficiency standard and in accordance with the requirements specified by the Federal Ministry for Transport, Building and Urban Development (BMVBS). 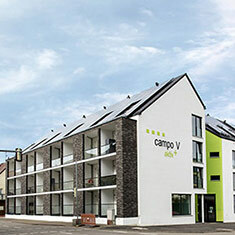 The building presents both the BMVBS and ABG Holding with a research and presentation object, which provides an example of sustainable building in the context of climate change and Germany’s energy transition. 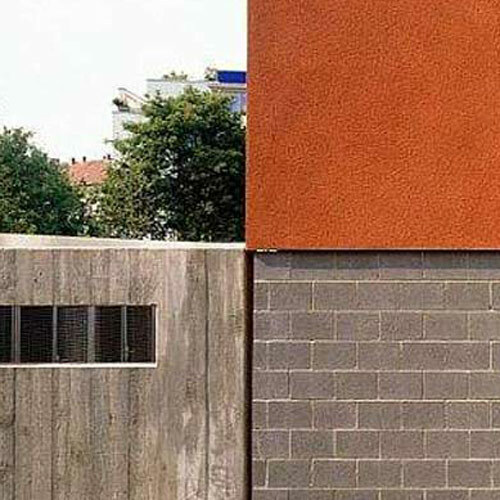 This project aims to test the applicability of the existing PlusEnergy design concept, which has already been used in single-dwelling units, for the first time to a large-scale apartment building in the centre of a major city. The planned building, which is approximately 150 metres long and only 10 metres wide, has 74 rental units ranging from two to four-room apartments. The building’s energy source is its large mono-pitch roof. To generate sufficient electrical energy using the installed solar power modules, it protrudes over the body of the building on all sides. The south façade is also fitted with solar power modules. A nearby sewer, from which heat is extracted using heat exchangers, provides a heat source for the building. 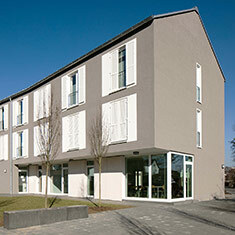 The apartments are supplied with drinking and process water via heat pumps and large buffer tanks. To alleviate the burden on the electricity network, battery storage increases the internal consumption of the self-generated electrical energy. The electric cars on the ground floor, which can be used on a car-sharing basis, support this system. The tenants can avail of this innovative energy and supply system through a flat-rate rental payment. A touch panel installed in the apartments enables them to track their individual power consumption at all times.